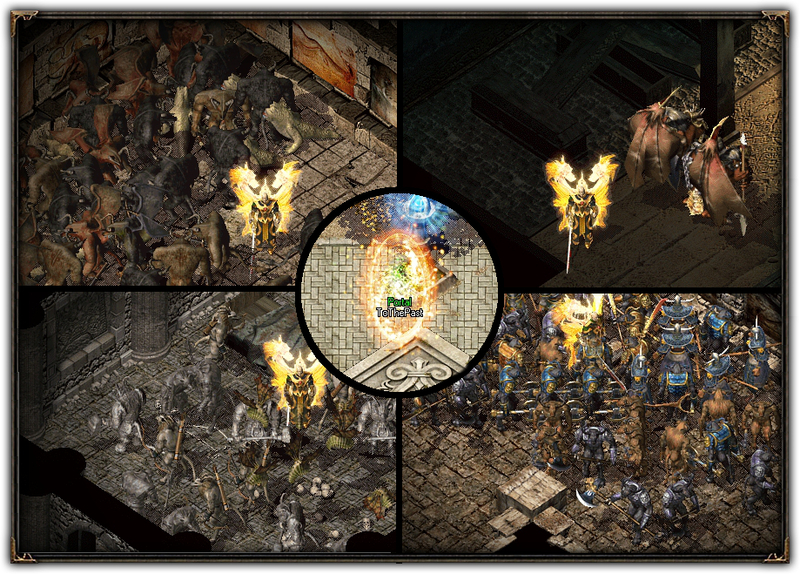 Chronicles provides you with a wide range of great looking maps, both maps that you know and have loved for year and some brand new fantastic looking 16-bit maps. A number of classic hunting areas have been remade in 16-bit and look amazing. The items you all know and love are here to stay with some additional tweaks to help balance the classes. Never before seen in Mir2, dynamic casting light that changes size and/or colour dependent on the skill used. Shanda gave us the idea, and we implemented it! Light that is generated from buildings. All caves up to 2.3, as well as additional hunting areas to ensure you are captivated for weeks on end. All skills up to 2.3, as well as additional skills that were introduced in Mir USA. Brand new quest system with a modern edge as well as loads of quests for new to advanced players, Cave quests and finally quests we have all known and loved for years, reimplemented into a modern system (Fate Sword, Red Moon Sword etc). Brand new trust merchant system with the capability to bid on items as well as buying them for a quick sale. Brand new harvesting system to bring in line with other interactive game play (e.g chests/trees). Bosses have not only had their stats tweaked, but in addition new path finding functionality and harder skills/spells to add a new layer of depth to the game. The assassin will be available who has been carefully tweaked to ensure that he is balanced with the other classes. All skills to 2.3, as well as additional 16graphics and hums. The archer will be available for the first time ever on a European server, built in our own light using 16-bit graphics and hums. 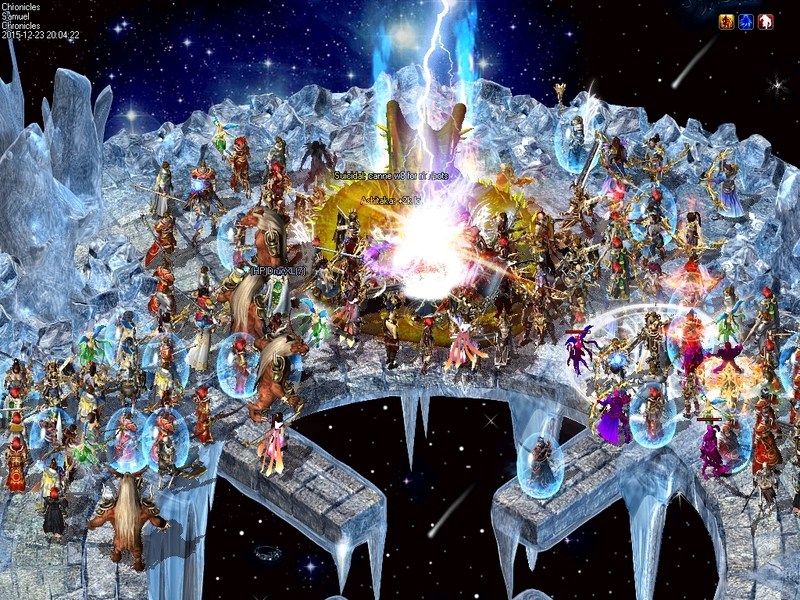 Items can drop with additional sockets that can have runes placed inside them to increase their destructive power. Mounts are available to travel between towns and/or to caves in a faster fashion. Along with Mir3 mob support comes shadow generation functionality to ensure that all mobs have a professional look and feel. Added items will appear yellow on the floor to provide you with a chance to pick up a potentially awesome item! The option has been added to have your own health bar and that of your pets visible above you player(s). Similar to that of PS3 Trophies or Xbox Achievements, receive rewards and status for completely a multitude of different tasks! A game shop containing novel items has been added. Overhaul of monsters, including bosses. Mounts no longer work inside dungeons. Shops no longer contain 22/26+ items. Changes to Gem system to add a layer of depth. Chance of Socketed item drops lowered. Chance of added stat item increased. Changes to minimap to show pets/group members as different colours. This patch will include three (or four if you count Path to hell and the demon realm as two different caves) new hunting areas to test the abilities of all players across all levels and skill. Path to Hell and the Demonic Realm are designed for the higher end players (45+ so get levelling) and contain a joint number of 8 New Monsters, 5 New Subs and 2 Mains (BDD style for the upper end). Numa desert is designed for the mid range/solo leveller who wishes to spend some time in solitude. Finally Oma Nest is designed for the lower levels with a semi hard boss (OmaWarLord), designed to be a alternative to Insect Cave and Khazard. A hard hitting, varied length, delayed strike with a chance of slow. A hard hitting, delayed shoulderdash, that pushes opponents either side of the caster as he barges through a crowd. A hard hitting, delayed strike, which can be doubled up with Ghost or Moonlight to cause increased damage. A camouflage skill that enables the caster to appear invisible from players and monsters if they are of a distance (will be seen if you get to close). 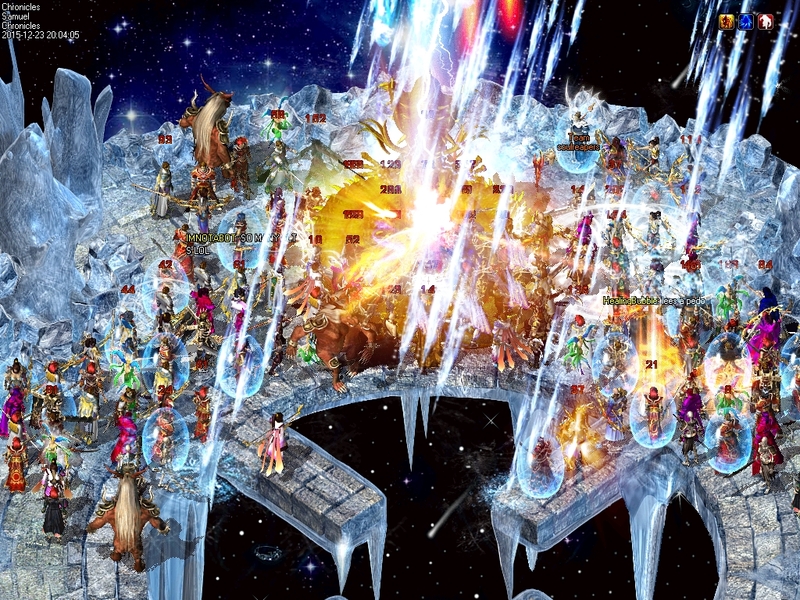 Summons the swords of fallen Taoists to create a small area of damage. A castable skill that enables its host a revival chance whilst the shield is active. Two very powerful strikes of damage, with a delay. Much like AttunedMind, AttunedBody will regenerate HP over time. A trap skill, walking close enough to a set trap will inflict damage and chance of slow. Unlike traditional gem crafting, success rate now depends on the quality of Ore/Items provided for both weapons and gems. An old favourite makes a return, kill a large number of the provinces main boss and a Lord is likely to appear to wreak havoc upon the towns people. 100+ new items for level 35+ players. Tons of new quests to keep you entertained for hours, including quests for each new hunting ground. Team Deathmatch added as a selectable Sabuk game. More achievements added to our unique Achievement system. Has the Monk been totally removed now then? Bit strange a new advertisement without a whole class included. Or maybe I'm blind? - Additional backend logging and security. We are going to reboot today at 11am to apply the Chronicles V2.7 patch. Downtime will be approximately 90 minutes. - NumaElder broken shadow fixed. - ThunderShaolin: Damage bonus per skill level has been reduced. - Reincarnation now works on mobs. Monsters up to 10 levels above yourself can be bought back to life for a small period of time as spirit pets, they can not leave the map they are resurrected on. - Fortify(35): The monk temporarily braces himself into a Rock like state avoiding 100% of incoming damage, but will be unable to move or attack during this state. - Taunt(42): A fully working agro spell. You can use it to take the agro of most mobs/bosses so that they will not wonder off when being hit by ranged classes. I plan on getting some images and videos together of the new spells shortly. As always, any issues please let us know. 2015... A year in summary. Did you know that in 2015 the Mir Chronicles team made 580 commits which resulted in 26 new spells, 33 new monster AI's, one new class, a completely refactored Sabuk, an achievement system and over 630 support tickets responded to. We believe we have been and will continue to push the boundaries of Mir in Europe and look forward to providing a continued fantastic Mir experience for you all into 2016. Here is a quick summary of some of the additions we made in 2015. This year Santa needs our help! He filled the Christmas tree in Bichon with presents and headed back to his work shop to restock his slay, however, upon arrival an evil wizard summoned a mighty blue dragon to stop Santa from for-filling his yearly tradition. Santa hoped to sneak into his workshop through the back door, but the evil wizard sent the dragon to the top of a tower overlooking Santa's home and workshop and sealed the entrance with a powerful spell. The blue dragon, with his powerful ice magic has been attacking and freezing any who approach the buildings. Santa has enlisted the help of the Bichon Guard to break the seal and defeat the enormous dragon, however, to break the seal requires great Christmas magic that Santa usually draws from Christmas objects around him. Heroes, we must collect enough Christmas objects and give them to Santa so he can break the seal... Then working with the Bichon Guard, we must defeat this wicked dragon and bring Christmas back to the land! Christmas jingles! - Christmas music shall spread joy across the land! Snow - Provinces involved in the event will be snowing (although snow can be disabled if it is causing nausea or irritation). Icicles, Snowflakes, Baubles - Collectable items to give to Santa to aid him in breaking the seal. ChristmasTree, Snowmen, Reindeer - Christmas mobs will spawn on Snowy provinces that drop Icicles, Snowflakes and Baubles. Santa's magical armour - Expiry Christmas hats, gloves and boots will be given to all of those who take part this year! The items will expire at the end of the event, however, they will hold equivalent stats of a high level item for their owner's class. BlueDragon - A huge dragon that does percent based damage will reward any player who takes part in his defeat... Instead of the traditional drop, any player who hits the Dragon and survives will be rewarded with a present upon his death, giving everyone an equal chance of something nice (and there are some nice something's this year). Baubles/CandyCanes - Christmas ornaments and treats provide players with christmas boosts! HP, MP and DMG. Christmas day present - Similar to last year there will be a present under the tree on Christmas day as a thank you. It escalated pretty quickly lol. This Good Friday the Mir Chronicles team will be rebooting to upgrade the server to Chronicles V3.0. Chronicles V3.0 will introduce three new hunting grounds, balance changes to Assassins and Archers and general security upgrades and bug fixes (including a fix for game gold periodically not adding to accounts (hopefully)). Lost Island will contain monsters of medium to high strength/exp, the area is designed to rival solo-ist exp grounds such as Numa Province. Wizards may be able to find a valuable companion or two in the monsters that live on Lost Island. Ancient Caverns contain high strength/exp monsters, the area is designed to rival solo-ist and group hunting grounds such as Orc Caves. Ancient Caverns has one sub-boss and one main boss. The Chronicles team are constantly making changes to help balance the classes and make the game more enjoyable for all players and classes. [*=center]StaticShock damage bonus against undead monsters. [*=center]Decoy will no longer work over walls. [*=center]PiercingShot will now be affected by RapidFire. [*=center]ShadowTurret no longer see's through Ghost. Archer pets that will be completely passive, it can not attack or be attacked and can not be used to block doors, but give their owner added affects. Increases loot gained from harvesting, helpful for finding the items you need to make your arrows. For a trial period we will be adjusting the affect of luck against players in Bichon Province. During the trial, luck will only affect environment objects (PvE). - HP/MP Recovery on armours fixed. - Tadanga can now see through hide. - AntiPoison added to some boss monsters. - Stalls added; some of you may remember them from AceM2. We have decided to add the market map back in (accessible through bichon trust merchant) along with the player stall system in an attempt to help people struggling for Gold by allowing them sell their items without the trust merchant commission fee's. - SlashingBurst will only travel in the direction you are facing not toward mouse cursor. - Immunity to only protect against red and green poison. - Damage increased on Hemm (was doing the same damage as Fatal). - Flinch fixed on bleeding. - PoisonSword duration reduced to official from one second per dc. - PoisonAttack now affects Poison Sword damage and length. - Fixed bleeding working on every Hemorrhage (looks like we forgot to turn it back on when we finished testing). - Fix for Body luck getting stuck when level 65 cap is reached. The Chronicles Developers are planning to kick-start the Early May Bank Holiday with a four day event consisting of some maps from the past, crazy spawns and increased start level! There has never been a better time to play or join Chronicles Mir2. Heroes, as you all know the threat of the Wooma's, Zuma's and Minotaur's has plagued our lands for many centuries. However it has not always been this way, there was once a time when these beasts did not roam our land and did not attack our children and families! A time when elderly men and young women could rest easily at night without fear of the next attack! Many years ago, the Wooma's, Zuma's and Minotaur's lived in old, decaying temples. It was only after their Great Attack that they had the resources to fix and improve their living arrangements. The Great Attack was a time of much heartache for the people of Mir. Many Fathers, Mothers, Daughters and Sons were lost on that day when the beasts launched an all out attack which nearly destroyed the Bichon Guard and left the wall in Ruins. 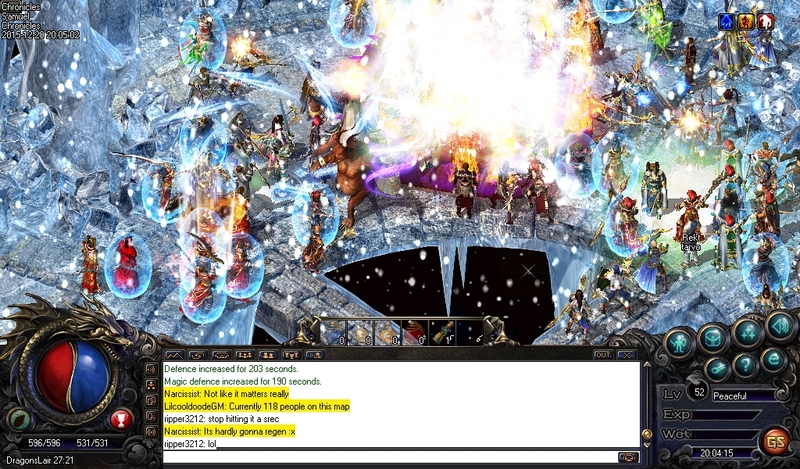 The Bichon Circle of Mages have been working on a spell for some time now. A spell that could transport the Bichon Heroes into the past! Back to the day before those creatures attacked! We believe that if we can stop the attack then the threat of those three breeds of monster would cease to exist in our timeline! We will open this Portal To The Past on 29/04/2016 and it will remain open until 02/05/2016. Heroes! We need you now! To help us destroy these foul and murderous monsters once and for all! Will you join us?! Will you fight?! All heroes below the level of 22 can use the @Boost command to increase their level to 22 and collect some basic armour and weapons from the Bichon Guard. We have added three of the traditional favourite maps from the past, filled them from wall to wall with monsters that drop well and provide plenty of experience for the most novice of players to contend with some of the elite. These temples also contain a number of boss/sub boss monsters, enough to keep everyone busy for the entire weekend. The spirit of Oma King has recently become so powerful that he has broken out of his magical trap inside Black Dragon Dungeon and is wreaking havoc in Oma Cave, it is up to our Heroes to ensure we defeat this beast and send him back to his entrapment. The Lords of Bichon, Serpent Valley, Mongchon and Woomyon have said to be restless of late... It would not be at all surprising if we bear witness to increased activity from these fiends. We hope to see you ingame over the weekend. - EvilMir drops benes again (apologies I commented them out when testing). - The gap between the lower levels and higher levels is still very great. - People in the community still want to play Chronicles but time commitments required to contend as a casual player are make it difficult. - As a casual/lower level you don't have a chance of fighting with the higher/non casual players over bosses (even low level bosses). - If we don't make some changes and move with the times the Chronicles user count will continue to dwindle away. I know some/most of you are thinking, "We have been telling you this for months! ", and we agree, you have, and we have been listening. The overall EXP will be transitioning from x3 to x6, allowing more members of the community to reach the level cap and become stronger. 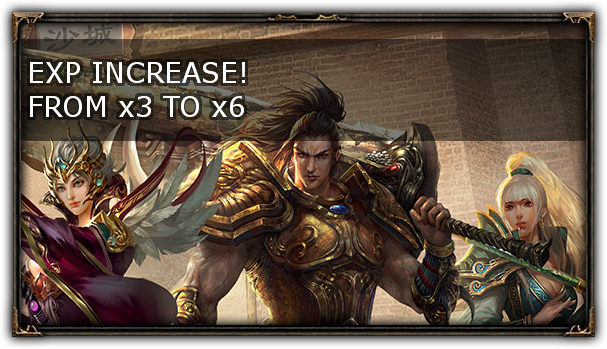 The low level booster will be increased from 0-48 to 0-55 and the boost it provides will be increased from 1.5x to 2x EXP, ultimately allowing the lower levels in the community a chance to catch/contend the higher levels. 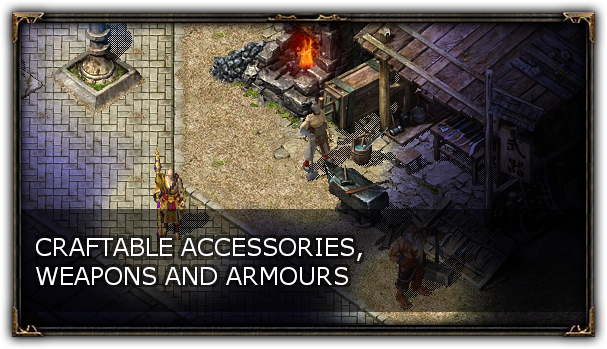 Non refine-able, non gem-able versions of some level 0-50 accessories, weapons and armours are available via the craft system, which will allow players a chance to increase their strength but also still desire the non crafted items for gemming and pushing their kits further. Rested EXP will allow users to gain an EXP boost for the time they haven't spent in game (with a limit of course) that will be received the next time they log in. New level 50-65 items, armours, weapons and sets to be added. 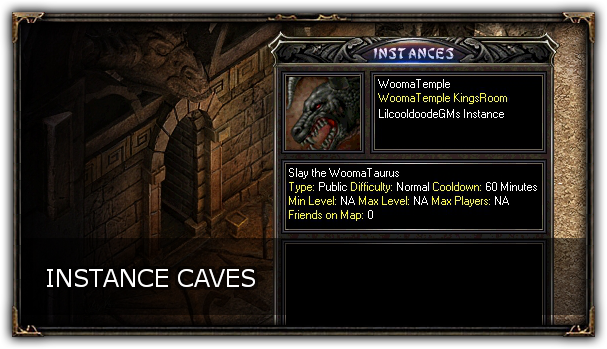 Some caves will become instance-able, allowing players to create a private/public instance of a cave that they or their party can hunt in to kill monsters and bosses. Some restrictions such as cool down periods on instances will apply to a player by player basis. Drops are being completely revisited at the moment and this will likely be an on going process for some time (especially with the instancing of some bosses). Now has never been a better time to join, return and enjoy Chronicles. Currently rebooting to end the early May event and apply Chronicles V3.3. - Craftable versions of some items added to Crafting NPC. - Super OKS will remain in OmaTomb on a 6 hour respawn. - Fix for wizard pets not being able to tame other pet when they have a FrostTiger. - Fix for HP/MP Recov not working correctly. Server is estimated to be back up at 22:30. EDIT: Server is back up. We are planning a small reboot today at 4pm to apply Chronicles V3.3.1. - EXP increase in low level areas fix (some where still 1.5 and 48). - Fix for some of the craft-able ingredients not having a high enough stack. - Change of crafting window (to bring it in line with the rest of the gui). Approx downtime will be up to an hour. EDIT: 16:00 Reboot currently in progress, due back at 5pm. We will be rebooting the server today at 11am to apply Chronicles V3.4. - Map Descriptions added to AncientForest and Frozen Provinces. - Added low level exp rate to more maps. - Server status bar now displays low level exp increase. - Wizards portal now disappears on death. - Drop Changes for various bosses and subs across the land (not yet finished, but a good chunk done). The drop changes are overall much better now, with better and actual chances of dropping more appropriate items, however, there is still a random element and some drops have completely changed (not just adjustments). Approximate downtime will be: 90 minutes. - No recalls, random teleports or logging allwoed in SOKS room. - Sand drops increased across various sand based mobs (Numa’s, Murlocs etc). Remember the drops are a work in progress and will continuously be tweaked. As always let us know of any issues. Today at 10am, we will be rebooting the server to apply Chronicles V3.5. - Fix for broken cords on Frozen Province to Frozen Caverns. Rested Exp is a system whereby players may accumulate a bonus exp modifier whilst the player is logged out and within a safezone. The allowance of rested exp is granted per hour over an initial 8 hour threshold up to a limit of 160 hours. Our website will be updated with the stats of new armours, weapons and items later today. I am going to be rebooting the server at 11:30 tonight to apply Chronicles V3.5.1. - Fix for mount exp not being gained when rested exp is active. - Fix for shared guild exp not being gained when rested exp is active. - Fix for some players receiving rested exp when they level up (the additional rested exp will be removed from those players). - Removed the @Boost command on login. - SkyStingerEggs added to drops. - Rest exp can now be gained by spending time in a safezone. With only a week left before the release of our new, never before seen to Mir Instancing system below is a list of details for our planned instances that will available upon release. I'm posting this here as i'm interested to know peoples reactions aswell as any other areas you think should / shouldn't be instanced. I am planning to do a final public test on the finished product this week (probably Thursday) to look for / iron out any final bugs before going live on Sundays update reboot.